January 5, 2012 / May K.
The image gained by means of X-ray diffraction contains eight chains of the APP copper binding domain. 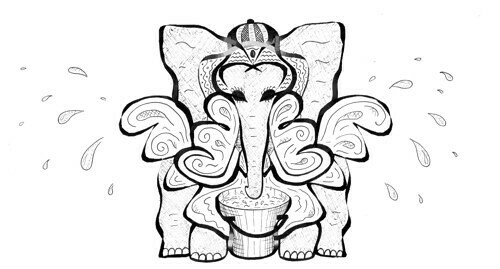 Four chains are used for the elephant picture. Via its copper binding domain Amyloid Precursor Protein (APP) can modulate copper transport. Cu-binding presumably leads to a reduction of Aβ levels which is a key player in the onset of Alzheimer’s disease. Therefore copper could have therapeutic effects on Alzheimer’s patients. Hello May K, I like your idea of protein art. 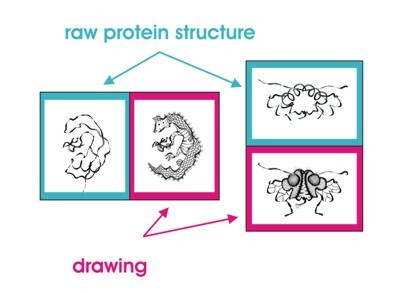 I was wondering if it was possible to manipulate the protein itself so that it could look like your drawings. Interesting idea. You mean instead of drawing around the protein structure? What kind of manipulation do you have in mind? This ideas are great. This Art form really amazes me, never thought of something like it. Thank you, I’m glad to hear this. I really like this one. I suppose this form of art is like seeing shapes in the clouds. 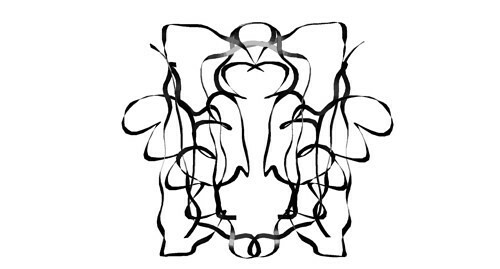 It appeals to our natural tendency to see faces and patterns in things. Thank you, Jess!) Exactly, this is very similar to looking for shapes in clouds or reading tea leafs. As I was a child I often found interesting shapes in the cracked varnish of the door, in the complicated pattern of the floor, etc. I never thought that this ability can be useful in a way. Thank you, I’m also very excited to see your upcoming posts! Amazing! Thank you for following my post, and thus introducing me your unique and incredible art. I like the way you specially create a picture with some connection with the function of the protein.